Hi #eGPlearners , with millions of apps out there how do you know which ones you should use. Try one of my top 5 apps as a must own GP app- the Nottinghamshire LMC app. Watch the video here and do not forget to subscribe to be the first to see future episodes. The Nottinghamshire LMC app in my view is a must own GP app. It contains multiple resources useful for any GP at any stage of their career. 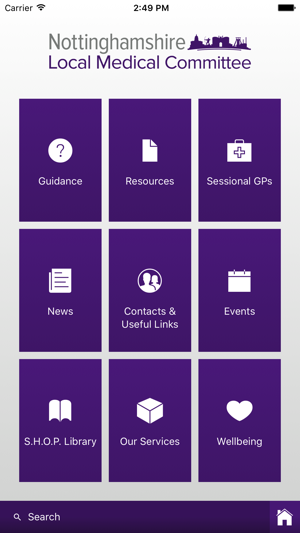 Linking to BMA resources means that although Nottinghamshire centric, the app is relevant to GPs in any geographic location. This includes a guidance section which is kept up to date, resources for partners, trainees, practice managers, and sessional GPs. The app contains useful news links and contact details including local LMC events (Nottinghamshire focused). The SHOP library allows you to share experience and innovation while the services section links to valuable resources offered by the LMC. Finally, the Wellbeing section is diverse with multiple resources, tools, and links to financial, mental health, well-being, support and self-development help. I find this a truly useful app with multiple resources. One development could be to enhance reporting like the BEAM to LMC app offered by the Londonwide LMC. Take a look and download the app from the link here.